At the start of the year I decided to embrace my creativity and try and reignite my sewing mojo. I wanted to try and create a piece of hand embroidery for every month of the year. I also wanted to push myself and learn some new stitches. 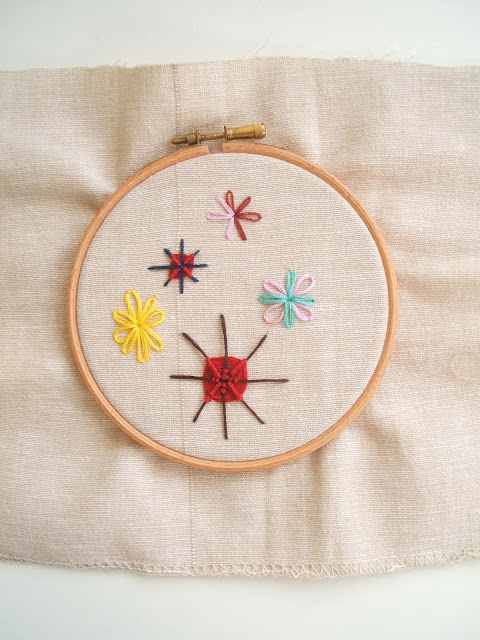 This month I had an idea in my mind for embellishing a piece of vintage fabric with embroidery stitches. 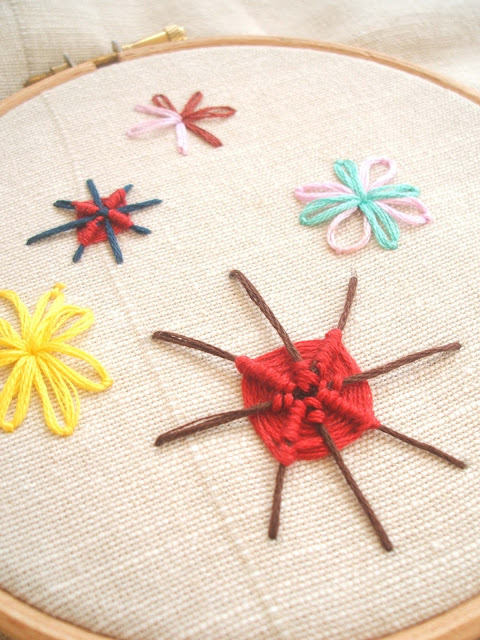 I thought the ribbed web stitch would look great in the middle of a retro flower. Having never sewn this stitch before I turned to Youtube to hunt down some tutorials. I particularly liked the one posted by Mary Corbett and watched it a few times to get the gist of the stitch. Third time lucky...I think I've cracked it. I still need to practise, but understand what I need to do now. 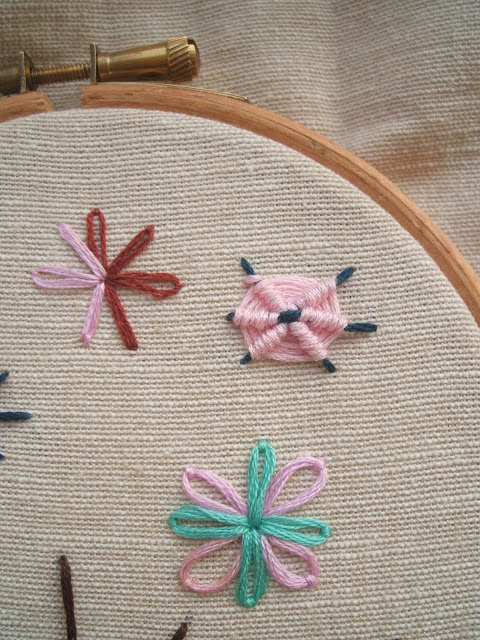 It's a soothing stitch because the weaving motion is relaxing. It's also nice seeing the thread build up on the fabric into a web pattern. I think I've said this a million times but I really must find some time to practice embroidery. There is so much inspiration out there! 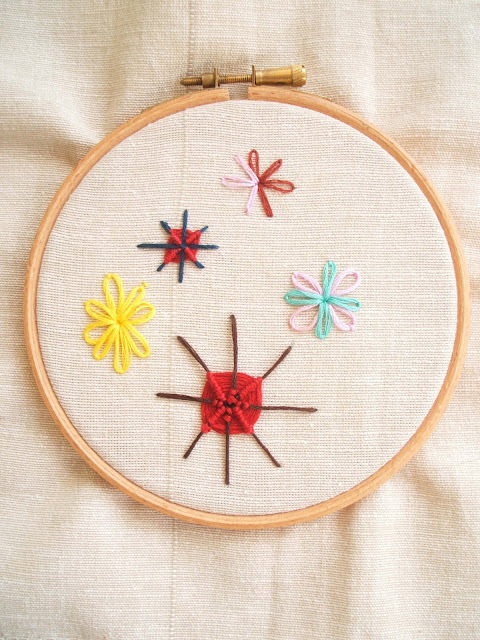 Love these stitches you've done. Not seen the woven one before. 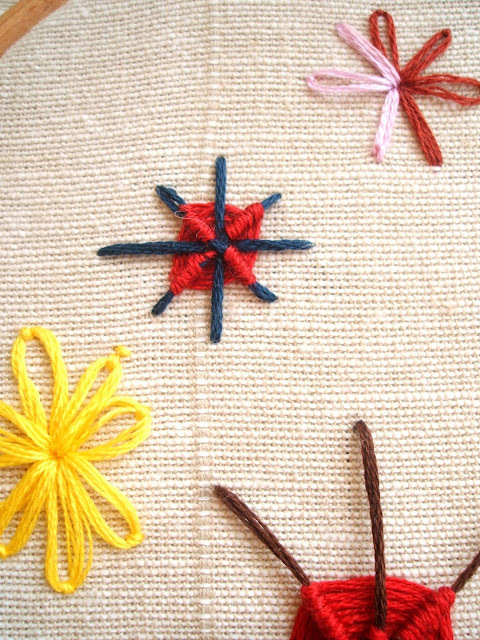 Such beautiful stitches! I've also never seen the woven one before, and it looks really good!